BurritoBuzz.com received some amazing product from Lansinoh, and we enlisted some loyal followers to review with us! The nursing pads were a hit! We knew that I love them, but we wanted our other bloggers and some mommies to give their opinion also! Pros: They have two adhesive strips, some pads only have 1 or none. Many of our mommies loved this feature, saying that it helped in keeping them in place over other brands. “These pads are thin but are surprisingly absorbent and hold a good amount of leaked milk while still remaining dry to the touch.” Because they remain dry to the touch it prevents you from getting chapped from being wet. Each pad is wrapped individually. Now, some of our mommies didn’t like that, because ease of use (not being able to get to them as quickly and creating more trash), but most liked it! It made it convenient to only change one pad at a time without contaminating a pad you might not be using at the time. These are disposable pads, so no clean up or making sure you have clean ones ready to go! Cons: These are disposable pads, therefore not making them very earth/ budget friendly, but if you are a mom like me the reusable ones don’t even begin to cut it when it comes to absorbency. One mom said “They get itchy sometimes, and bunch up in your bra after moving cups down for feeding”, so they definitely are not perfect! Most of the moms wanted them not to be individually wrapped, but none said they would never buy them again. 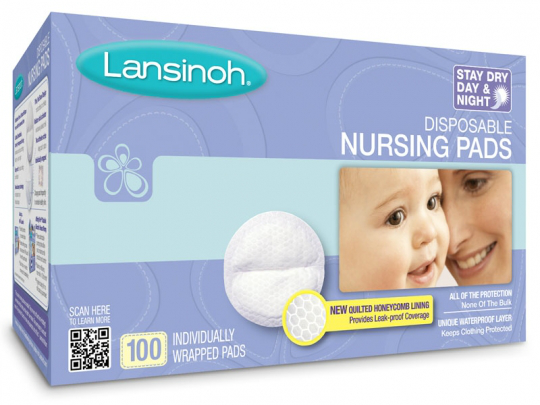 In fact most moms said this was their favorite brand of disposable pad! These are a must- buy, and a must- add to your baby registry!